A HOUSE that has been home to three generations has sold at auction ... to people in the same street. Originally built by a couple who loved living there, the 45-year-old home at 4 Gerrybell St, Golden Beach, was offered for sale on Saturday. The three-bedroom high-set house on 567sq m had been passed on to their son who in turn passed it on to his son. Living interstate and not returning, he trusted the sale of the property to Vicki Stewart of Stewart Property. "The home generated a lot of interest,'' Vicki said. "We had four interested parties, two of which we're hoping it didn't sell as they were unable to bid at auction. 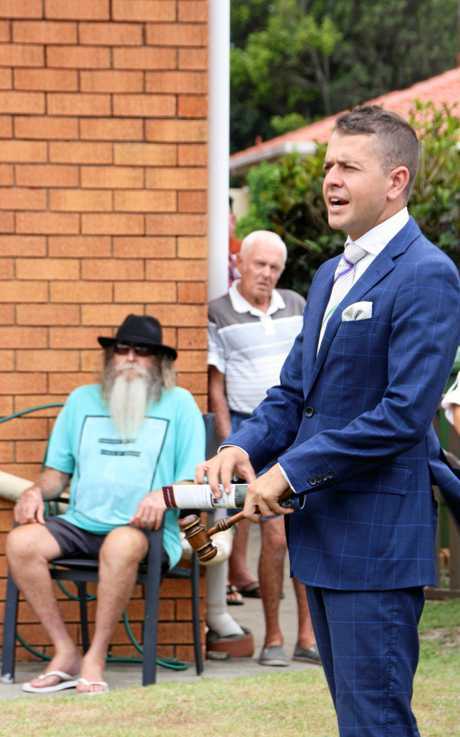 The man with the gavel was Jamie Thomas, who recently made the move to Queensland from New South Wales after calling more than 350 auctions in Sydney's eastern suburbs including Surry Hills and Bondi Beach. Jamie was the auctioneer for the TV show House Rules and spoke well with the vendor and eventual buyer. 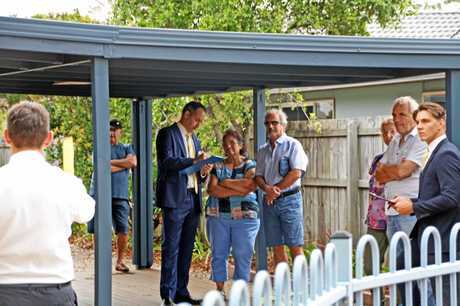 "The property was sold under the hammer for $520,000 with a very happy seller and buyer,'' Vicki said. 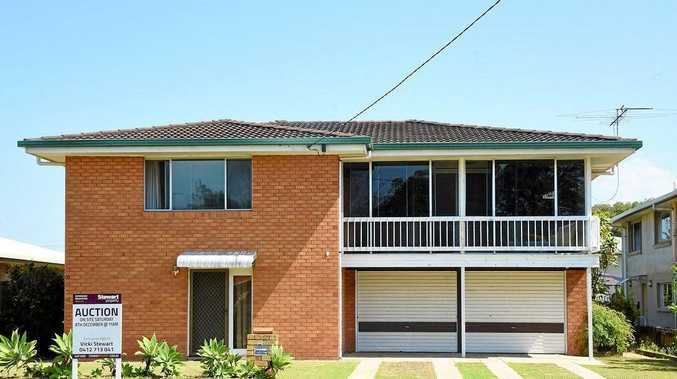 THE five-bedroom house with pool at 18 Bellflower Rd, Sippy Downs, offered room to move. So much so that on-lookers suggested you could fit up to five newly-released blocks on the 1276sq m and the house was the size of a block of land. 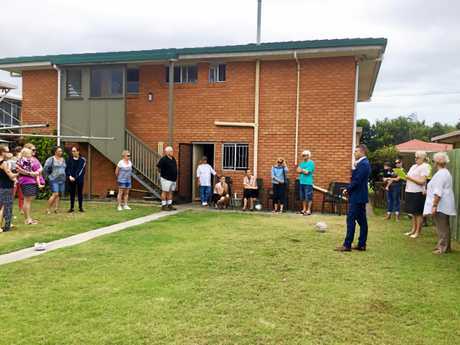 Marketed by Dan Smith and Jake Loiero of Ray White Buderim, auctioneer Brett Graham got bidding away at $550,000 before seeing it sell under the hammer for $630,000. "The buyers have family living nearby including grandkids,'' Dan said, "so they wanted a home with pool and yard for them to play in plus multiple living areas internally. DAVID Pemberton of Noosa Hinterland Realty thought the 2ha property with shed, stable area, stock yards and unregistered house at 908 Cedar Creek Rd, Gheerulla, was always going to sell. Despite threatening rain on Saturday morning he had two registered bidders for what was part of an old dairy farm so it had good pastures - the ideal weekender or renovator's delight. Deep in the valley, it had no services or power and while it was different it was the type of property so many people want. In the end David knocked it down at auction for $295,000 to a local family.